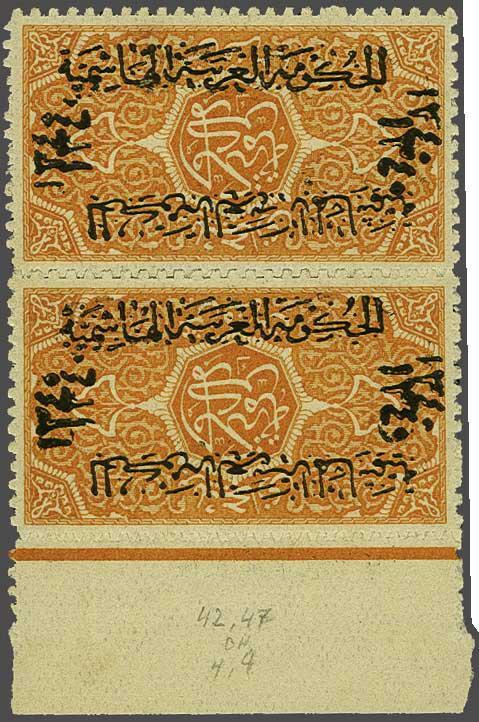 1921 (Dec 21): Hashemite Kingdom opt. on 1/8 pi. 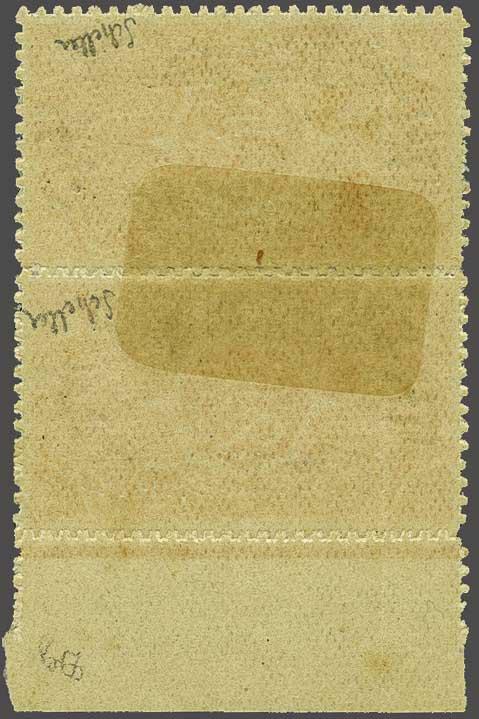 orange-yellow, a fine unused marginal pair with variety 'Overprint Double, One Inverted', rejoined with hinge, large part og. Rare and very fine. Signed Scheller Gi = £ 2'000.